Professor Layton and the Miracle Mask is a handheld game for the Nintendo 3DS system where you must solve puzzles to advance the story. 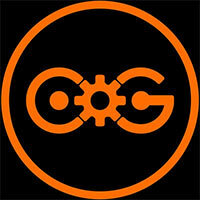 Using touch screen controls, you'll need to perform a wide variety of actions to tackle hundreds of engaging puzzles. From logic dilemmas to riddles, visual brain teasers and more, you'll find something new and delightful at every turn. 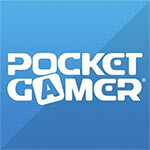 This franchise has got a good blueprint going for it on the handhelds. It’s perfect for bite-sized gaming on the go, or equally engaging for lengthier gaming sessions. Professor Layton and the Miracle Mask casts a wide net. While its whimsical nature may scream kiddie title, the puzzles you’ll encounter while unraveling this mystery are anything but childish. By its fifth entry, some might say Layton has gotten predictable; others would say reliably good. Miracle Mask proves the series still has something new to offer, even if that’s more so with its visuals than anything else. Though it would be nice if the devs played more with the formula, at least they’re done enough to keep the entertaining franchise fresh--for the time being at least. Fundamentally, it’s hard to bear a grudge against a game with such generosity of spirit and pleasant delivery. 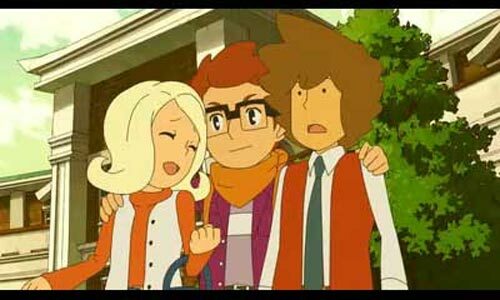 But having tangled with mythical sea beasts and alternate Londons, isn’t it time for Layton to solve the greatest mystery of all: where does he go next? The puzzles in Miracle Mask, in many instances, are a far weaker attraction than the glittering carnival of Monte d'Or, and more than ever I found myself playing a Layton game for the story rather than to feel stupid and get cross whenever I didn't see the proper pointing finger animation. Layton is a good distance removed from the hysteria that surrounded his debut title, then, but the fifth game in this stylised series is enough to keep you entertained. The game may take somewhat longer than usual to find its stride, and sliding the stylus simply isn’t as fulfilling as tapping it when it comes to world exploration, but the game’s accomplishments far outweigh these trifling complaints. Puzzle lovers young and old should make it a point to unravel the mysteries of the Miracle Mask. Throw in a year of downloadable puzzles, one per day starting October 28, and Professor Layton and the Miracle Mask will definitely satisfy your demand for quality puzzle gameplay. If anything, it'll inspire you to track down older Layton games on DS. Suffice to say, both first and longtime players are in for a treat. The only real shake up here is the top-down dungeon exploration section that appears later in the game. Here you control Layton in real time, rolling boulders, dodging mummies, and digging up treasure. I’m not sure I’d enjoy an entire game like this, but it is a pleasant diversion from the standard formula. More new elements like this and a less predictable story would help push Miracle Mask up in the overall Layton ranks. Like all of the other Professor Layton games, it simply comes down to whether or not you enjoy solving puzzles...The beauty of it is that no one really wants the series to change. In a gaming world where everyone demands that the next game bring something new and different, it's a little refreshing that a gentleman in a top hat can deliver consistent, quality gaming that pleases despite the fact that it's just what we played before... but now in 3D. 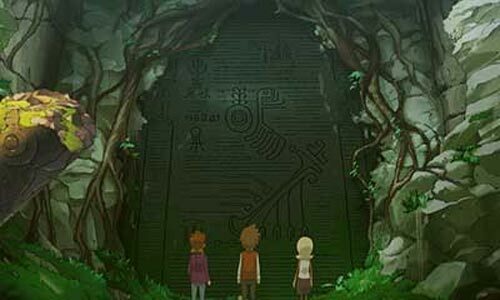 While solving wonderfully engineered puzzles is the meat of the gaming experience, moments of variety and a few new ideas ensure that the franchise maintains its freshness. Its greatest strength, that takes it from a top-notch puzzle collection to something more, is its story-telling. The broad range of characters, the emotional tone of the storyline and the teasing promise of more makes for an utterly engrossing experience. The question is whether this is worth your money; if you enjoy puzzles and charming tales of adventure, then you should already know the answer. The adventures of Layton and Luke are as charming, funny, head-scratching and engrossing as they've ever been, and five games into a series which has stuck to the same structure throughout, that's an impressive achievement. With the promise of daily downloadable puzzles for an entire year and the best presentation yet, there's never been a better time to get on board with Layton. Professor Layton and the Miracle Mask is the biggest change the series has seen so far. Layton fanatics may cry foul at the series’ change of 2D to 3D visuals, but upon playing the game you’ll see the game is hands down the best looking of the series. Layton fans will love it, especially with its look into the professor's past. Even gamers who don't always enjoy puzzle games should give this series a try, although getting acquainted with it via earlier games like Last Specter will allow players to get the most out of the story in Miracle Mask. Either way, this game shows that there's still plenty of magic left in the Professor Layton series, and leaves me interested in playing the final game in this prequel trilogy. From a technical standpoint Professor Layton and The Miracle Mask is a decent game. While some puzzles are enhanced by the 3D capabilities of the hardware, the gameplay formula has changed very little save for the new investigation mode. That being said, the mini games are some of the best in the series. Yet as someone that has played all of the Layton games I have to admit I was hoping the move to the 3DS would have injected a bit more life into the series to keep fans like me a little more interested. Despite the shift in dimensions, this is a pretty standard Layton adventure. Luckily, since Layton adventures tend to be one of the more dependable highlights of the gaming calendar, that remains a ringing endorsement. The puzzles may be covering old ground more than usual, but the cast of gentle characters and the elegant sepia-tinged mirror-world they inhabit seem to grow in potency with each instalment. While Spectre's Call felt rather repetitive, with variations of puzzles that we'd already seen in past Layton games, Miracle Mask actually manages to feel extremely fresh. Professor Layton's move to Nintendo 3DS is a hugely successful one, as Miracle Mask is one of the best Layton games to date. Con esta entrega, la saga se renueva no sólo gráficamente con diseños completamente tridimensionales, sino también en lo jugable con pequeños añadidos que ayudan a continuar mejorando la fórmula original. Tal vez los puzles, el verdadero núcleo del título, mantenga una senda algo tradicional, sin grandes revoluciones, pero lo importante es que el tándem guión-enigmas sigue funcionando a la perfección. El nuevo usuario puede quedar anonadado ante lo que ha estado perdiéndose todos estos años. 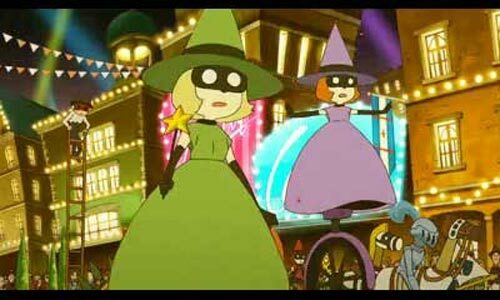 Sin embargo el asiduo puede que encuentre demasiada repetición y pocas novedades jugables más allá de utilizar las características de la portátil para los puzles y, eso sí, los nuevos minijuegos de habilidad, los del pasado de Layton y los 365 que están por llegar durante el próximo año. Uno de los mejores productos para entrenar la mente de Nintendo no deja de sorprender con sus tramas y ahora se reinventa en su puesta en escena. La Máscara de los Prodigios no solo es un gran juego, sino que es la mejor iteración de Layton desde aquel ya lejano Villa Misteriosa. ...Profesor Layton y la Máscara de los Prodigios es, en definitiva, uno de los juegos más encantadores y mágicos que podrás jugar estas navidades, y una forma perfecta de despertar a nuestras neuronas de su letargo. Der Vorteil daran ist, dass die Serie auf hohem Niveau stagniert: Knobelfreunde bekommen wieder Unmengen durchdachter Rätsel, die komfortable mehrstufige Hilfe und eine professionell inszenierte Abenteuergeschichte mit hübsch gezeichneten Zeichentrick-Sequenzen. Besonders gut gefallen mir die clever designten Bonus-Spielchen. Das Kaufrausch-Rätsel oder das Robo-Labyrinth machen regelrecht süchtig. Das größte Rätsel ist aber, warum die Puzzle-Designer auch im fünften Teil nicht besser mit den Story-Schreibern zusammengearbeitet haben. Rien de fou, mais une approche différente de l'espace de jeu qui ouvre littéralement d'autres perspectives, surtout avec l'utilisation intelligente de la 3D relief. Un pas très timide en avant, qui décevra les enquêteurs à chapeau mais qui fait de ce Professeur Layton et le Masque des Miracles l'un des meilleurs épisodes de la série, tout autant touchant que passionnant à suivre. Entre deux Dolipranes. Si l'on est d'abord séduit par la refonte visuelle et la nouvelle profondeur de champ offerte par cet opus, on s'incline encore plus devant l'efficacité du scénario qui nous laisse entrevoir une autre facette de la personnalité du professeur Layton à l'époque de ses jeunes années. Ne manquez surtout pas ce rendez-vous mémorable, car la série touche bientôt à sa fin. 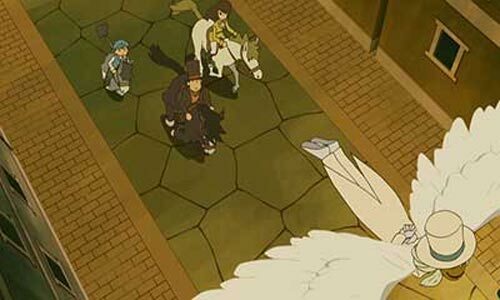 Por tudo isto, Professor Layton and the Miracle Mask é mais um grande jogo para os veteranos da série, mas também para os novatos. Especialmente para estes, que ao mergulharem neste mundo dos quebra cabeças vão ficar surpreendidos pela quantidade e qualidade dos problemas. Os veteranos também terão motivos para ficarem satisfeitos, já que vão encontrar um design melhorado graças à 3DS. 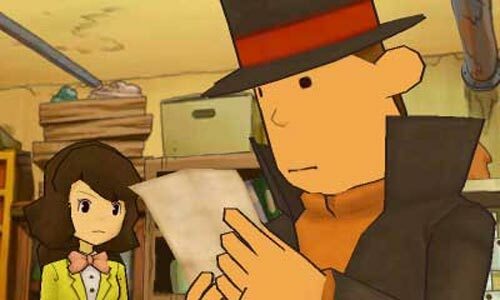 Apesar de a série Professor Layton ter tardado bastante em chegar à 3DS no Ocidente, Professor Layton and the Miracle Mask foi um dos títulos de lançamento da consola no Japão. No entanto, não foi isso que impediu este jogo de atingir um patamar de qualidade invejável, mesmo quando comparado com títulos mais recentes. Ma allora vale la pena gettarsi a capofitto in questa nuova e misteriosa avventura? Per quanto ci riguarda, la risposta è "sì". È innegabile che l'effetto novità della serie Layton sia svanito ormai da un pezzo, ma sebbene alcuni degli enigmi proposti abbiano cominciato a perdere un po' di freschezza, dobbiamo dire che la nuova presentazione grafica, l'interazione più profonda, lo splendido effetto stereoscopico e la trama nel complesso ben realizzata, sono senz'altro motivi sufficienti per iscriversi a questo nuovo "corso" del Professor Layton. Gamers die Professor Layton al eens hebben gespeeld op de DS weten wat ze kunnen verwachten van dit eerste 3DS-avontuur. Professor Layton en het Masker der Wonderen houdt vast aan de vertrouwde formule en slaagt erin om weer een indrukwekkend verhaal te vertellen. De inventieve puzzels houden je gegarandeerd uren bezig en dan willen we wel door de vingers zien dat er vrij weinig vernieuwing is. Professor Layton and the Miracle Mask har egentligen inga allvarliga brister. Snarare finns en del inslag som känns relativt alldagliga. ...Sammantaget fungerar spelet bra som inkörsport till serien, likväl som långvarigt tidsfördriv till de redan frälsta. Nästa del får dock gärna vara aningen mer tillskruvad och påkostad.